A casual, fresh and fun platformer. Walk upside down, jump from one object to another. Objects start moving, rotating, and several other hazards are thrown your way to provide an exciting challenge. The game includes 5 worlds with each 7 levels to play. 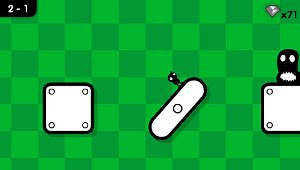 They Need To Be Fed was made for the YoYoGames “design a handheld game” competition.